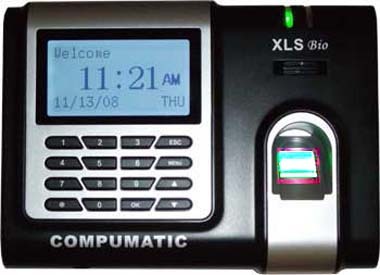 Biometic fingerprint reader with expandable 25 employee capacity. Free Shipping in USA-50 states. Call for Canada, PR, other locations. Exports and "what's in the box"
cannot punch out for it. Quickbooks, Paychex, ADP, Excel, and nearly all known payroll systems.